A thoughtful and honest look at many churches today results in the realization that we’ve been good at one outcome: creating good “church people,” that is, people who are well-equipped to run, operate, and keep all of our church programs going. Spend the summer calling people to populate ministry teams at church. Provide a spiritual gifts assessment to measure an individual’s best place to get “plugged in” to one of the ministries inside the church. Highlight a “volunteer Sunday” at which each ministry in the church hosts a booth in order to sign people up right there! Celebrate every one of the volunteers who had committed to an entire year in an effort to woo them back for another. The result? This church had fully-staffed, well-run ministries. It was a great process for that outcome. But this church also wanted the process to lead to an additional outcome: new disciples—outsiders coming to faith, being baptized, joining the church. And the thinking was that strong, fully staffed, well-run church ministries, could (and indeed, would) reach the people from the surrounding community who didn’t know Jesus because they would be attracted to them, their Sunday services, and their multitude of ministry offerings. This process was right for equipping people to serve in the church. But when all was said and done, people weren’t equipped and empowered to make disciples themselves. Of course, we do need our people to be good at church! We need to keep our churches running well so that when people show up, they have the experience we all want them to have. What if the focus on running a good church and being a volunteer at church affects our people’s willingness and ability to get out and engage people where they live, work, and play? What if those invited won’t come to church like they used to? 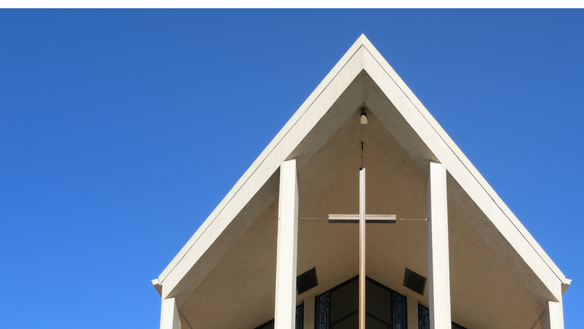 What if all of our best church efforts are yielding fewer and fewer conversions and baptisms? Has this process given us the evangelistic results we’d hoped for? It is worth repeating that we do need to keep doing church well. We believe in the church, and we know you do, too! This bride of Christ plays a crucial role in the Christian’s life: for worship, for growth, for community. And the church is also the body that will enfold new believers in Jesus. But is our current process of “disciple-making” actually creating disciples who make disciples? If we keep driving down the same road, we will end up in the same place we always have. In order to get different outcomes, we need a different process. How did you learn to ride a bike? Or play the piano? No doubt there was a process in place that helped you develop the skills. And most likely, the process involved not only classroom time, but practice time as well. Make no mistake. It’s hard to create a process to train disciples who will make disciples. But if we hop up on the seat and grab the handle bars, we can do it.